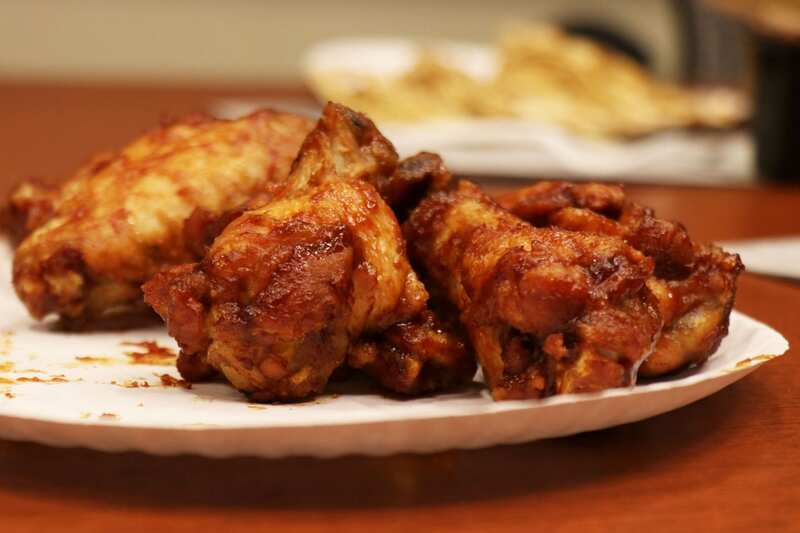 It is hard to go wrong with wings, but if you want the best Columbus has to offer around campus — we got you covered. Our rankings were broken down into two categories: texture and sauce. With these rankings, we decided our own personal overall rankings. From our overall rankings, we assigned points from one to five and combined the points for the overall score, with a perfect score being 15 points and a tiebreaker decided by the composite scores for texture and sauce being combined. Side note: We did bone-in wings only. Boneless wings are basically chicken nuggets with sauce, and we only go for real wings around here. While I personally voted this wing as having the best texture — it placed third in composite rankings for texture — these wings could never, in good conscious, be recommended. A wing that brings a good crisp exterior to the table and does an amazing job of delivering moist chicken on the inside is completely betrayed by the utter confusion of the sauces. Both the buffalo sauce and the mango habanero tasted nothing like the names they were assigned, but instead tasted like sauces from the worst of the worst cut-rate Chinese restaurants. I’m just going to start with one word: contextualize. Is Woody’s anything compared with the big names in chicken wings? No. The chicken was subpar to every place near campus, and it even got cold within 10 minutes of purchase. But it has to be noted that this is the only on-campus location on the list, and for food in the Union, it is one of your better options. Roosters wings come down to one thing: breading. If you like breading on your wing, then this is going to be for you. The breading adds an extra kick of flavor that makes up for not having the best chicken on this list. The sauces offered here are also done well with the garlic sauce well received by all the writers. Barely clawing at the second spot on the podium is the biggest name in the wing business, and it is that big for good reason. When Buffalo Wild Wings hits, it is glorious. Their buffalo sauce was arguably my favorite, and the Asian Zing remains a top-tier sauce of any location. The sauces were my No. 1 for a reason, but the chicken wasn’t quite at the same level as the best wing location around campus. These wings definitely live up to the name, being a wing over everything else Columbus has to offer. The crispness and meat are both top quality. The sauces and seasoning options offer great variety in flavor and are not too soggy. Of what we tried, the buffalo wing at Wings Over is a classic with a nice, spicy bite. The cajun-blackened flavor we tried was its “special” wing and was a dry rub that had a nice depth in flavor that kept the wing crispy. Order these wings “well done” for the best Wings Over has to offer. This is Too good and important post, i would like to share this freecell homepage which gives you access to play this solitaire card game without any problem and with Just a single click.